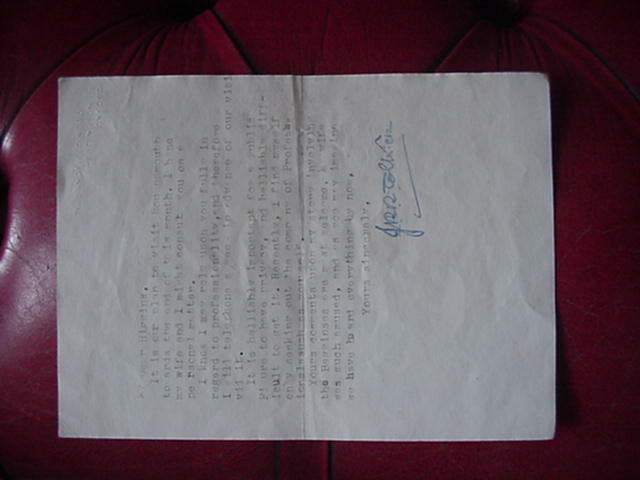 It looks like our favourite ebay seller has found another Dr Higgins letter,unless its an old one I have forgotton about. Once again a load of rubbish ! The seller has now listed the item three times on eBay, each without success: here, here, and here. The relistings omit the Buy It Now option. They are not the same letters, the first one is a Higgins and the second two are the same Hooper letter. I reported them as they were re-listed plus the latest travesty. 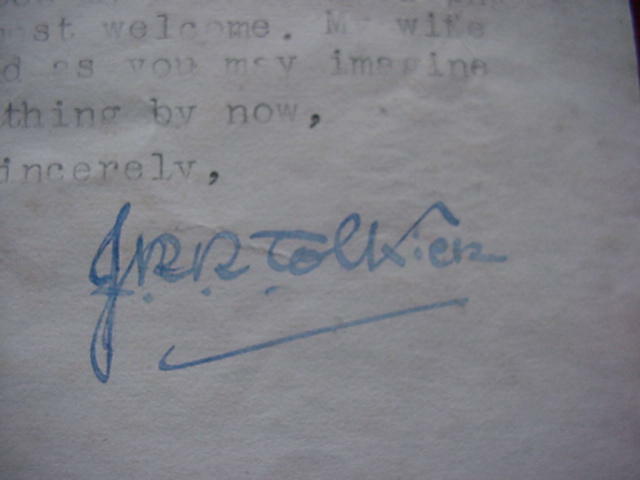 These books were issued in 1978, some 5 years after Tolkien had passed away. Quite a miracle if he managed to sign them for beyond the grave. ie what the seller is trying to suggest is that the books werent signed yet the pictures were. of course they were !! No need to apologise, I did not mean it that way, but that the letters are so terrible that they all look the same.